At RED, our vision is to take your Telecom and IT infrastructure projects from concept to reality and provide solutions that are safe, cost-effective, industry-compliant and tailored around your exact needs. We provide the full range of professional services that encompass the entire project lifecycle from feasibility studies through to design, consultancy, construction management, integration, maintenance service support and facilities asset management. With offices in Hong Kong, Singapore and Malaysia we deploy projects throughout Asia Pacific including Australia, China, India, Indonesia, India, Japan, Korea, Philippines, Thailand and Vietnam. 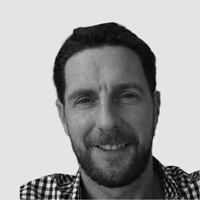 Maurice has 24 years experience in the Telecom industry specialising in the Design, Build and Maintenance of Fiber Optic Networks. He is the founder of RED Technologies (S) Pte Ltd and manages RED Outside Service Plant and Fibre Network activities including Project management, Professional Services and Maintenance. Under Maurice’s leadership, RED Technologies became the number one Managed Services provider for Fibre Network Services in Singapore and has expanded throughout South Asia to Malaysia and Hong Kong. Terence is the co-founder of RED Technologies now operating in Singapore, Hong Kong and Malaysia. He has more than 20 years’ experience in the IT and Telecom industry where he is involved in the technical design, build and maintenance of ICT infrastructure. 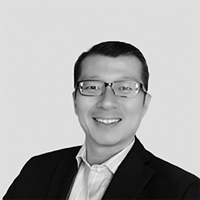 Terence has led the design and delivery of major IT infrastructure Projects throughout Asia which included Front-end Manufacturing Plants, Corporate Buildings and Data Centres. The safety of our employees and those of our contractors is our top priority. Thanks to regular audits performed by external safety assessors and our ongoing safety-training programme, we make sure that all employees maintain the highest standards and are up-to-date with the latest safety practices. We operate from Singapore, Hong Kong and Malaysia and deploy projects in various countries in the region. We have a proven expertise gained from more than 15 years delivering projects on target, time and within budget in Asia Pacific. We are used to envisioning projects from various angles and perspectives and adapt our solutions to get things solved. Our services are tailored to meet your needs and improve your business efficiency. We are known for our easy to reach and responsive approach. We use interactive tools with our clients to make sure we all share the same level of information and communicate smoothly for maximum efficiency.